Does your firm assign appropriate value to nonbillable time? That may seem a strange question since the prevailing view among A/E firms is that nonbillable time is a drag on the bottom line and should be minimized to the extent possible. I understand the financial equation, but the fact remains that nonbillable time is essential to a firm's survival. It allows for critical functions such as business development, operations management, accounting, human resources, professional development, and strategic initiatives. 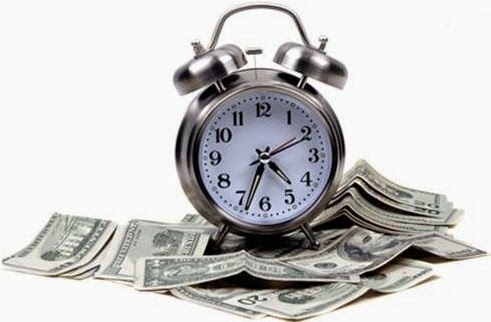 As consultant David Maister once wrote, "What you do with your billable time determines your current income, but what you do with your nonbillable time determines your future." Unfortunately, the sometimes maniacal focus on utilization that exists in many firms obscures a proper appreciation for the value of nonbillable time. These hours are not simply a cost, but an important investment opportunity. Yet most firms don't treat them as such. It's rare to see managers who give the same priority and discipline to managing nonbillable time as they do project time. The biggest cost isn't the amount of nonbillable time; it's the failure to make wise use of it. What Are You Doing With All That Time? Have you ever considered how much nonbillable time there is to put to productive use? Assuming an average utilization rate of 60%, that means of the 260 workdays for the average employee, about 104 days are nonbillable. Of that amount, a reasonable estimate is about 25 days taken for vacation, holidays, and sick leave. So that leaves the average employee in our business with about 79 nonbillable days each year. So in a firm of 100 employees, there are roughly 7,900 days of nonbillable work! (You can do the math to determine the number for your firm.) That begs the question: What are you doing with all that time? Define your strategic priorities. Perhaps you've already done this through your strategic planning process. But a common planning problem is taking on more initiatives than there is time to successfully complete. The temptation is always there because the to-do list always exceeds our capacity. And most of these unfinished tasks seem really important. The key question, however, is: What is most important? Prioritizing your company's to-do list helps you make smarter choices about how nonbillable time is used. Develop an action plan for each goal or initiative. Like any project, you need to define the specific tasks that are required to complete it. Too many plans identify desired outcomes without adequately describing how these will be achieved. An action-oriented plan enables you to determine resource needs, assign those resources, and track your progress towards your goals. Estimate the level of effort. This is rarely done, in my experience, for nonbillable projects. No wonder so many firms struggle to complete them. You would never plan a client project without projecting manpower requirements, would you? The same discipline should be applied to internal projects. Once you have estimated the level of effort for each action plan, you may well determine that you need to scale back the number of initiatives. Specifically budget nonbillable time. Working with firms on their business development process, I often hear managers complain that increased sales activities will negatively effect utilization. Yet most of those assigned sales responsibilities only have utilization goals of 50-60%! The nonbillable time is obviously available; the question is how best to use it. Without budgeting this time, you will struggle to escape this kind of utilization-hit mindset. Budgeting nonbillable time forces you to make choices about how to use it optimally. Assuming you don't have people sitting around idly, whatever hours you budget to a nonbillable initiative are hours that must be taken from some other activity. You should never give someone a substantial assignment without offloading an equivalent amount of time from what they're currently doing. That may create a domino effect in how discretionary nonbillable tasks are prioritized and assigned across the company—important steps in the right direction. Track nonbillable time utilization and hold people accountable. Just as you assign project numbers and job codes to billable work, I recommend doing the same for important internal projects. This will better enable you to track how those hours are being spent. If someone isn't spending the allocated time, that needs to be addressed just as you would if someone was slacking on client project work. Without expecting the same level of accountability, you will consign nonbillable initiatives to the realm of "things to do when you have leftover time." While the steps above will help, effectively investing nonbillable time in most firms will require developing a different mindset. You have to change the traditional view of nonbillable time as being less valuable than project time. But treating it with the same principled approach as billable time will certainly help change that perception. Many of the most successful firms are already doing this. What about your firm? Merci pour vos conseils très très intéressants en matière de marketing. Is Your Firm Serious About Its Values? Are You Holding Your Young Stars Back?